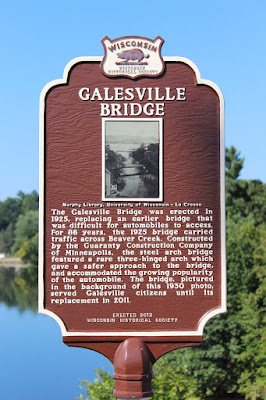 The Galesville Bridge was erected in 1925, replacing an earlier bridge that was difficult for automobiles to access. For 86 years, the 1925 bridge carried traffic across Beaver Creek. Constructed by the Guaranty Construction Company of Minneapolis, the steel arch bridge featured a rare three-hinged arch which gave a safer approach to the bridge, and accommodated the growing popularity of the automobile. 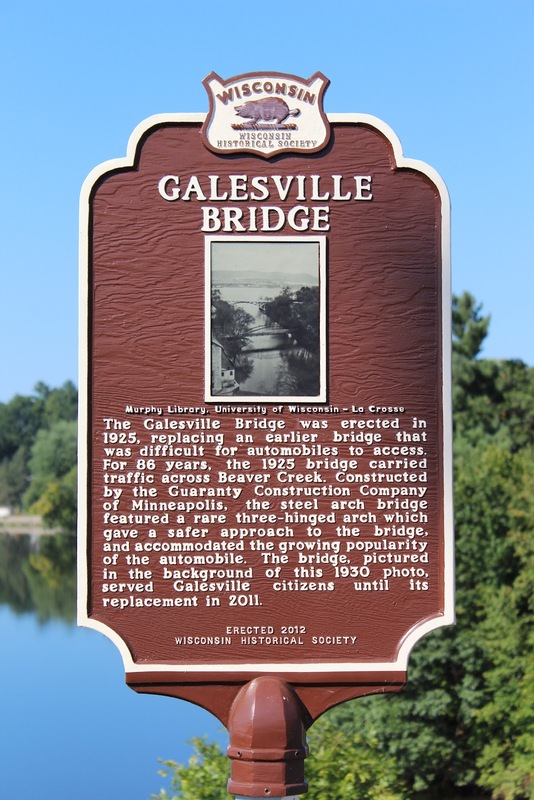 The bridge, pictured in the background of this 1930 photo, served Galesville citizens until its replacement in 2011. 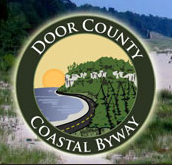 The marker is located on North Main Street (U.S. 53), north of its intersection with Ridge Avenue, Galesville, Wisconsin 54630.